← Picture-Perfect Craft Room. NOT!!!!! 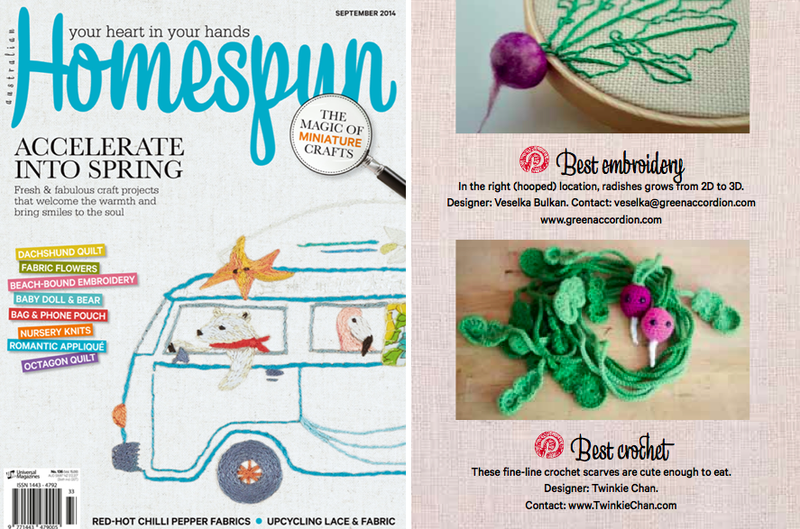 Radish Scarf in Homespun Magazine! Hey, Aussie babes!! Pick up the September issue of Homespun Magazine to see my lil Radish Scarf in their “Best of the Best from Pinterest” highlights along with lots of other fun, spring projects! 6 Responses to Radish Scarf in Homespun Magazine! It’s always super cool to check out craft mags in different countries! Hi! My friend absolutely loves radishes. Don’t ask why. I don’t know either. One of lifes mystery’s! Well, I was wondering if you could send me the pattern?… For free? 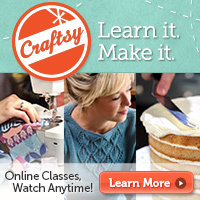 Hiya, unfortunately I cannot send patterns for free that are in my books or in my Etsy shop. It just wouldn’t be fair to others, or myself. Sorry about that!